A charming place for a comfortable and relaxing stay. 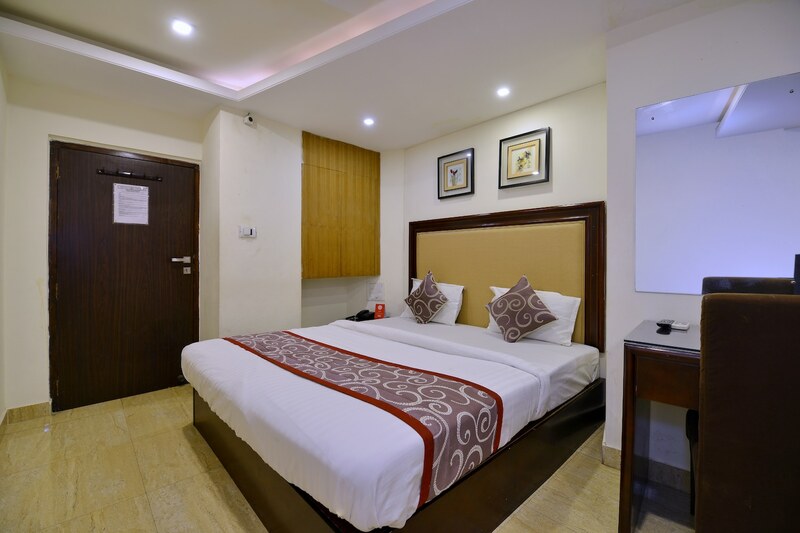 With an external structure consisting of light reflecting glass panels, Hotel Payal is a fine hotel with a simple interior decor and a warm and comfortable ambience. The bedrooms at the hotel have a bright and cozy ambience due to the white walls, dark wood furnishings, overhead lights and several paintings adoring the walls. Each room is equipped with a geyser for the guests to use whenever they want. The hotel provides its guests with free Wi-Fi and power backup so that they can remain connected with the rest of the social world. Other amenities offered by the hotel are an elevator and a card payment option.